Thanks to his strong experience and excellent reputation, GamecoStudios has been hired by Ubisoft early in the production, to create the iconic characters of the title. 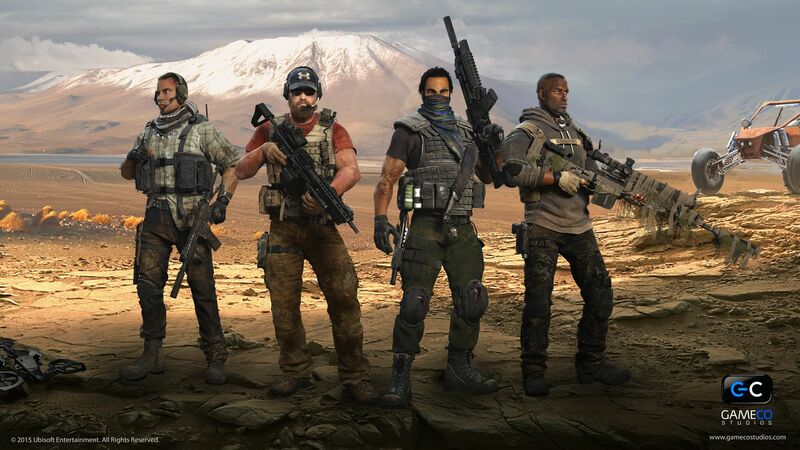 In close relationship with the marketing and production team of Ghost recon Wildlands, GamecoStudios created incredible concepts Art of the four complementary characters : The Assault, Support, Engineer and Sniper, including their outfits, backpacks and weapons using some of GamecoStudios most talented Artists. Creating heroes is a long process, from sketches to final image, every aspect has to be taken in account. 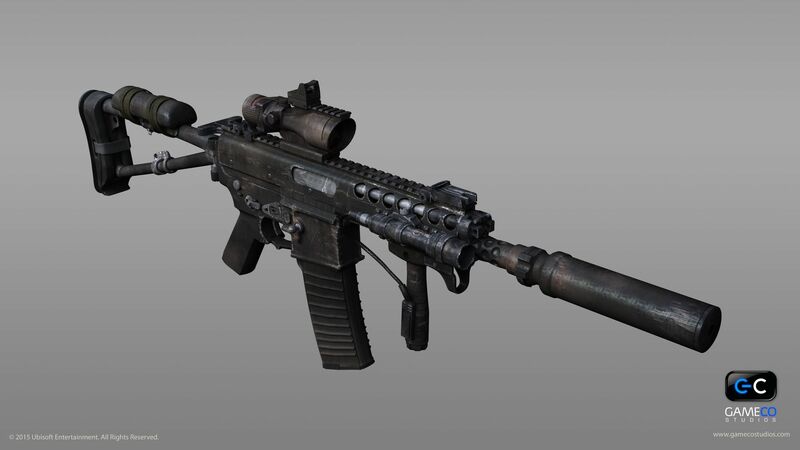 The psychology of characters, their respective role in the team, the realism of their equipment to fulfill their mission, since how long they are isolated in bolivia. It was an incredible experience and a great colaboration with Ubisoft Studios. 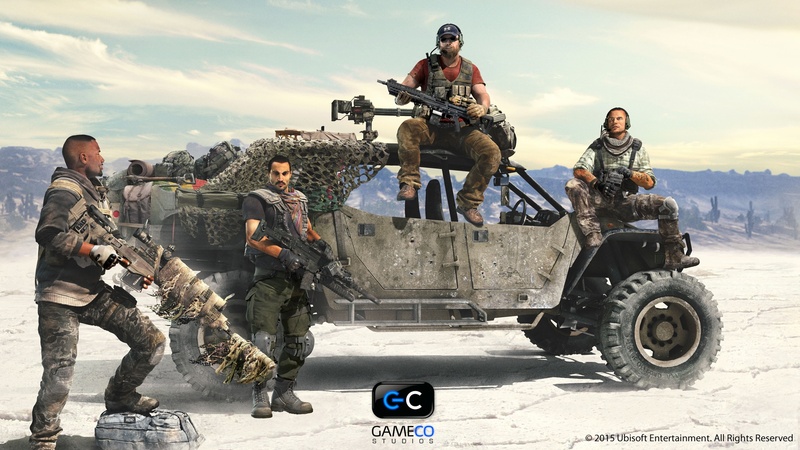 After the full concept Art approval, GamecoStudios 3D Art team created the Ghost Recon Wildlands characters Hi-definition 3D models and textures used for posters and trailers. 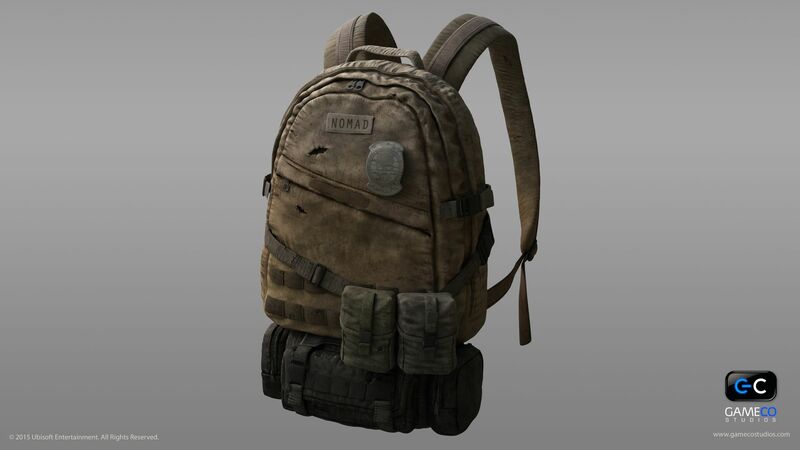 They where used and simplified by the Ubisoft Paris Studios team for ingame models. 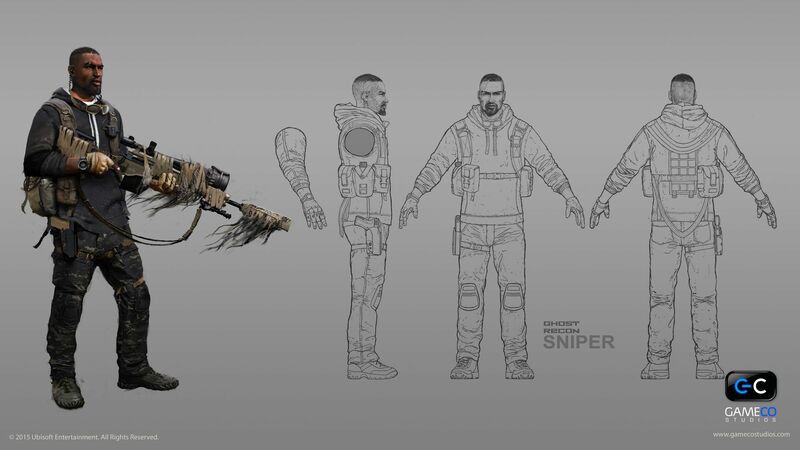 Anthony “Tony” Perryman, aka Nomad, is a Ghost team leader and support gunner. He is the one making the important decisions. A Major in the US Army, he was trained to leverage the expertise of each member of his squad for success. Sergeant First Class Dominic “Dom” Morretta, aka Holt, is the Ghost team’s technology specialist. An expert in intel and data decryption, he is also an excellent drone pilot. If things go wrong and you are caught in crossfire, Sergeant First Class Rubio “Midas” Delgado is the partner you want by your side. 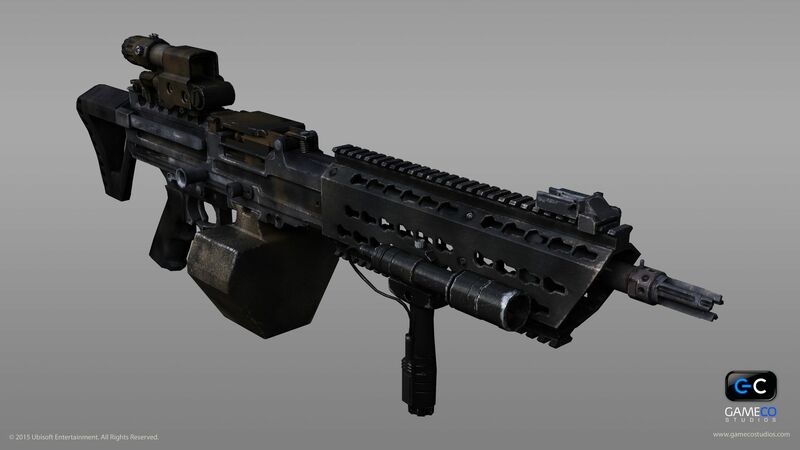 He’s not only a skilled mechanic and a vehicles specialist, he’s equipped with some seriously heavy weaponry, making him the perfect choice for intense assaults. 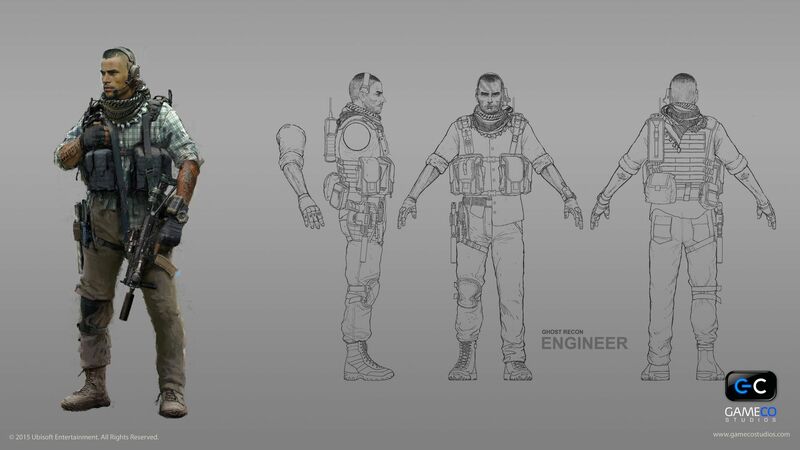 Following the concept Art and 3D modeling, GamecoStudios took care of several illustration researches for Ghost Recon Wildlands. Some of them are still undisclosed, here are few examples. 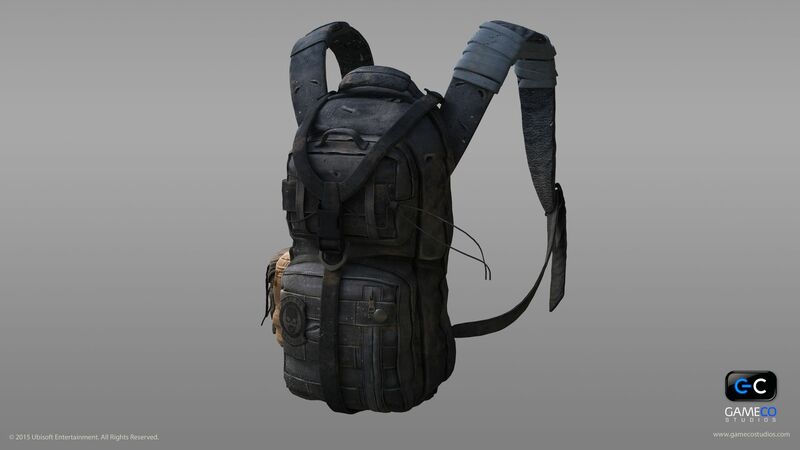 Character weapons and backpack concept and 3D models for the Ghost Recon Wildlands iconic characters.